Ralph Hauwert revived his blog and created a nice experiment with a particles and video: Particle VideoPlayer. I really like it, good job, Ralph! 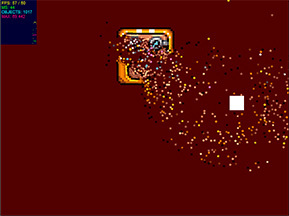 Next one is a awesome Richard Davey’s experiment with a pixels called Pixel Smash Test. And this is a Richards’s blog post about it. It runs not bad for me on my slow Core 2 Duo 2GHz in the debug FP 10.2 beta even considering that it’s “totally unoptimised”. I like different physics sandboxes like this, thank you, Richard! Another good news are about my favorite debug tool, CConsole (flash-console) – version 2.5 is finally released! This is a really huge update, you could look at the change log and read more about this nice tool at the Lu-Aye’s (it’s author) blog. This is a good news for all people who need to create a simple tween animations in the HTML5. Grant Skinner recently announced a new 0.2 version of it’s HTML5 tweening engine called EaselJS. You can look at the small demo using this engine here and read more about EaselJS at it’s homepage. 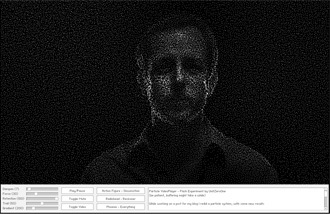 This is a nice “An advanced WebGL debugging toolkit”. 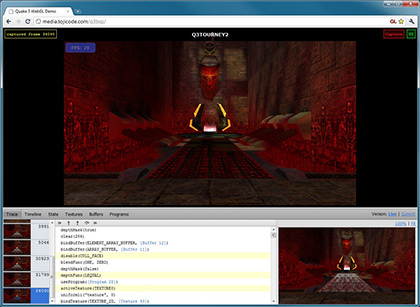 You could use it to debug and optimize your WebGL projects. Also you could check out “Learning WebGL Lesson 5” and “Google’s Electric Flower” live demos. 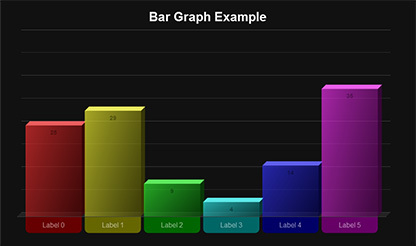 Read more at the WebGL Inspector github page.